Note - Hunting after dark is illegal in many provinces and states. But practicing after dark can be quite fun, especially during the summer months as the temperatures are nicer in the evening as opposed to the scalding heat of summer days. So if you want to do night shooting, what should you be doing? 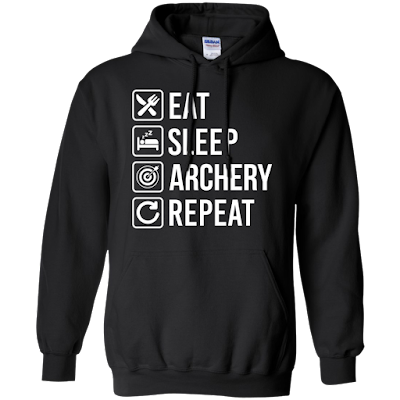 Well here are 10 tips for doing some night archery. #1. Use lighted LED nocks. If you miss the target they will be easier to find. They also look pretty awesome so that is a nice bonus. #2. You will find it is tricky not being able to see what you are aiming at. 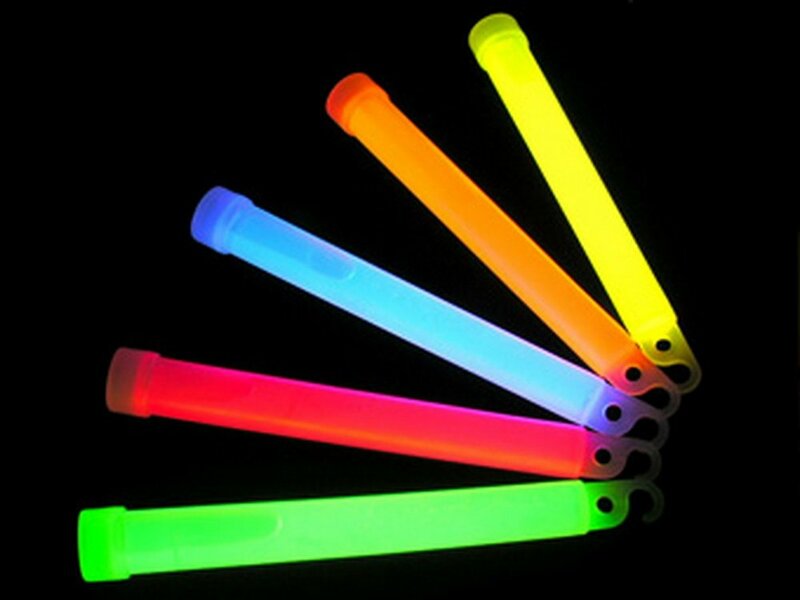 I recommend using glowsticks, like the kind below. There are other kinds of glowing items (like bracelets), but I find they don't work quite as well because they are not as bright. I also don't recommend shooting at candles, so don't bother. #3. Learn how to Gap Shoot. Gap Shooting is a different style of aiming, but it is handy for shooting at moving targets and also handy for night shooting. If you live in Toronto and want to learn how to Gap Shoot, I recommend signing up for archery lessons and ask to learn the Gap Shooting method of aiming. #4. 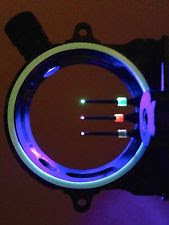 If you are using a sight for aiming, you may want to get a lighted sight that uses a LED and fibre optics to light up the individual sight pins. 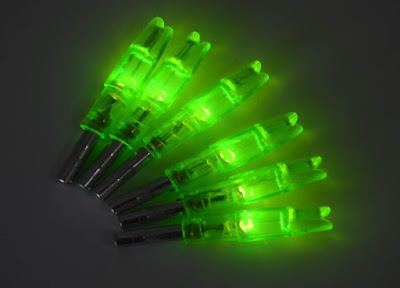 If you don't have one you can also find a way to add light to your sight, possibly by having a glowstick handy or even making your own homemade sight that has glow in the dark paint on it. Cat laser pointers sometimes come with alternate settings for different shapes that the laser makes, so that can be fun too. #6. Bring bug spray. Mosquitoes will be murderous late at night. Mosquito repellent will be very handy to keep the bugs away late at night. 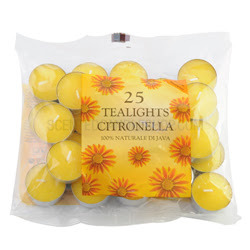 Citronella candles are also handy for keeping the bugs at bay, and also provide a bonus light source. Citronella Tea Lights plus a metal lantern would be good too. #7. Bring a flashlight. Not necessarily to use all the time, but more for emergencies. Lets pretend you drop something on the ground and cannot see it to find it. A flashlight will be handy for such an occurrence, and also useful for finding the bathroom, preventing you from stumbling around in the dark while searching for lost arrows, etc. 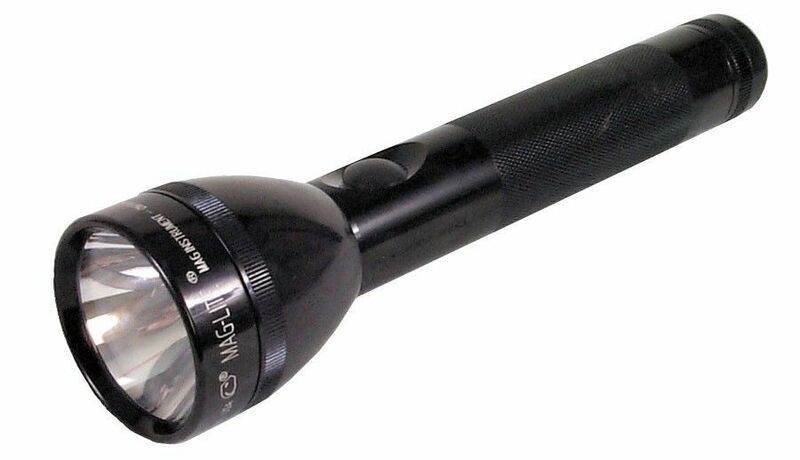 A good Maglight flashlight or something similar would thus be handy. Accidents happen. #8. Bring a Friend. Shooting by yourself is a bit boring. Having a friend to talk to is nice when night shooting. 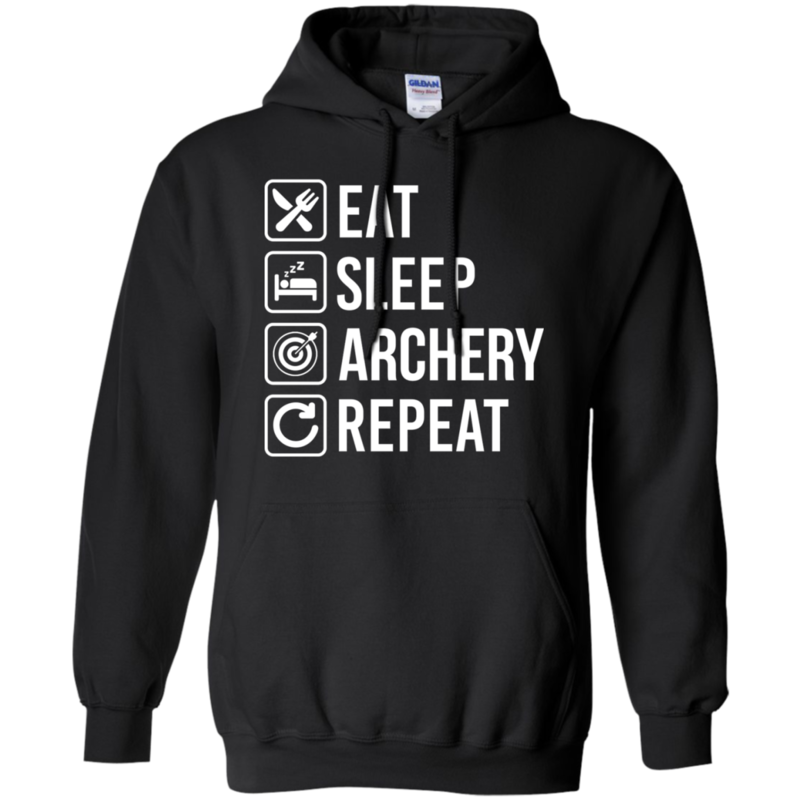 Make sure you observe safety protocol, calling live when about to shoot and clear when ready to collect your arrows. It would be bad mojo if you accidentally shot your friend or got shot while doing night shooting and you were ignoring the potential for danger, so please observe safety protocols. #9. Dress for the temperature. 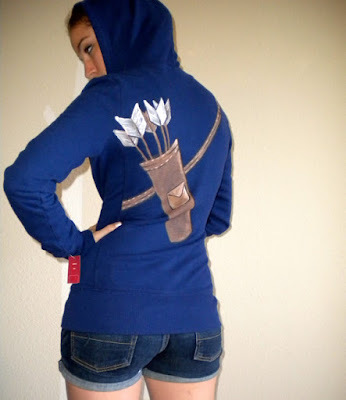 Having a hoodie or similar clothing will be handy if it turns out to be chilly at night. Also handy for keeping the bugs off in case you didn't bring enough bug spray. I thought this one was pretty awesome. This one was amusing too. #10. For extra fun, save your old broken arrows for the future and use them for night shooting at a lake. Bring marshmallows (optionally, you can soak them in fondue oil for a brighter flame). Stick the marshmallows on the tips of the old broken arrows, nock the arrow but only partially draw the bow - then light the marshmallow on fire and immediately shoot it up and across the lake. Because they are old broken arrows you won't really care that you are burning them / losing them in the lake. 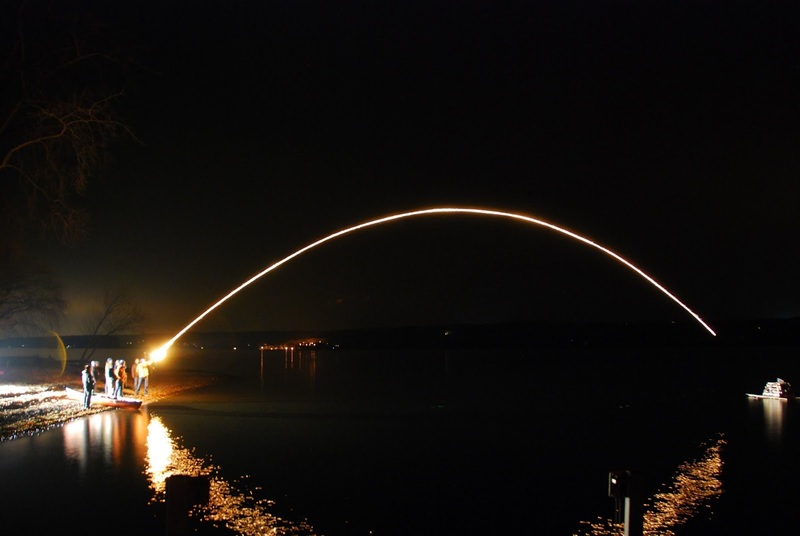 But they will make for some fantastic fun shooting over the lake and seeing the reflection of the fire on the water.